Disclosure: Some of the activities in this review were complimentary for purposes of review. We love everything I’m recommending below. All opinions are my own. Key Largo is the first of the Florida Keys when traveling from Miami, making it one of the best day trips from Miami. However, there are so many things to do in Key Largo, you’ll definitely want to spend the night and extend your stay as long as you can. 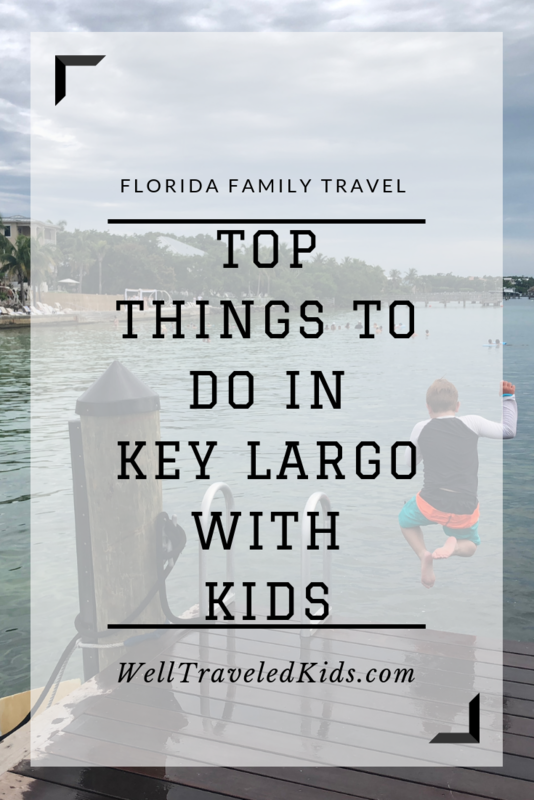 Here are some of our favorite things to do in Key Largo as a family. 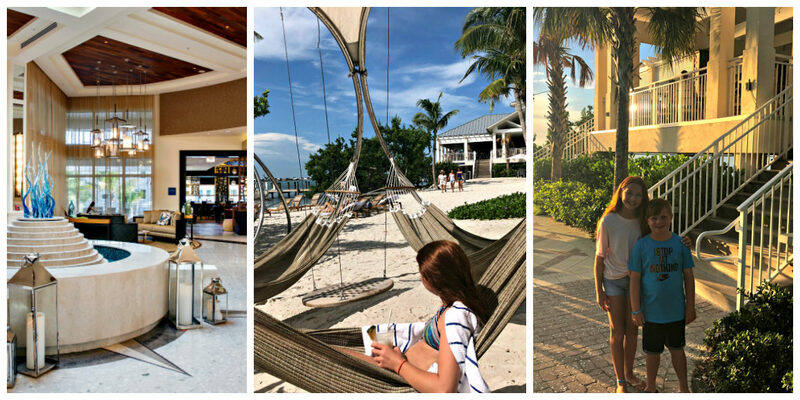 When deciding where to stay in Key Largo, we recommend finding a luxury family resort. For this visit, we chose Playa Largo Resort, a Marriott Autograph Key Largo resort. This was our first time at Playa Largo Resort, but we will certainly return! My kids loved the pool and the close proximity to Key Largo beaches. The resort has convenient steps down into the water and also a long dock; great for jumping! The modern luxury of this Key Largo resort also appeals to the adults, and the service at the pool tiki bar cannot be beaten! The standard rooms are spacious enough for our family of four, and we loved our view of the pool and bay. The food on-site at Sol by the Sea was casual but delicious. We loved the location perched above the water’s edge with gorgeous sunset views. Another Key Largo resort we love is the Cheeca Lodge in Islamadora. We have stayed there often and can’t wait to return to the Cheeca Lodge once the new Oceanside Pool is completed. It looks incredible! When you visit Key Largo, snorkeling in the clear waters is a must! If you don’t have your own boat, you can rent a boat for the day, or leave the driving to the pros and find a guided snorkeling tour. There are many options for snorkeling in and around Key Largo. Cheeca Lodge has excellent guided tours, including a two-hour family-friendly snorkeling tour that leaves right from their dock in Islamadora. If you prefer to rent a boat, you enjoy some Key Largo snorkeling at your own pace. Head out to the sandbar for the afternoon, spend time snorkeling with your family and from there, you can explore the mangroves of the Florida Keys! Tip: If snorkeling is not your thing, but you want to get out on the water, Playa Largo and Cheeca Lodge both rent kayaks and paddle boards. Another Key Largo must that you can’t avoid is catching a sunset from one of Key Largo’s beaches. What better way to enjoy a sunset than from a sandy beach with a drink in hand? Our family loves Morada Bay Beach Café in Islamorada for the wide beach, live music, and awesome food. After this trip, Sol by the Sea at Playa Largo is now on our favorites list! If you prefer to experience sunset from the water, take a sunset cruise from Cheeca Lodge, which lasts just under two hours. For fun Key Largo adventure with kids, check out the Swim With The Dolphin program at Theater of the Sea. We have done other “Swim with Dolphins” programs before, and I assumed this experience would be similar, but I was wrong! The swim with the dolphins at Theater by the Sea exceeded our expectations! The kids got to go in the water and were pulled by the dolphins. The trainers were amazing and the younger kids in the group (who were 9) were hesitant at first but their hesitations quickly went away. 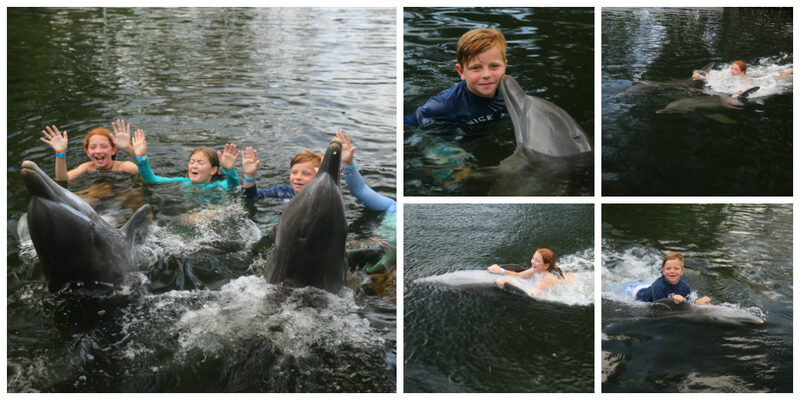 They got to do two different dolphin swims, plus go under water and pet the dolphin as it swam side by side with them. Not to mention that our ticket included all of the great shows at Theater by the Sea, which are great for all ages! We will definitely be back on our next visit for this fun family adventure. Everyone has their favorite Florida Keys traditions, whether it is stopping at a favorite local spot for key lime pie, or feeding the tarpon at Robbie’s in Islamorada. Find your families favorite spot and make them a tradition each time you visit the Florida Keys! What is your favorite Florida Key to visit? Michelle is the proud working mother of two children, a sweet 8 year old girl and an energetic 5 year old boy. Living in South Florida with her husband Todd, they are always looking for places to vacation well with their family. They love being on the water and beach activities, from boating to jet skiing to snorkeling. As the kids get older it is important to find the balance between working hard and showing their kids the experiences of traveling to new places. This summer they started a United States map project where they can track all of the places they have visited as a family.